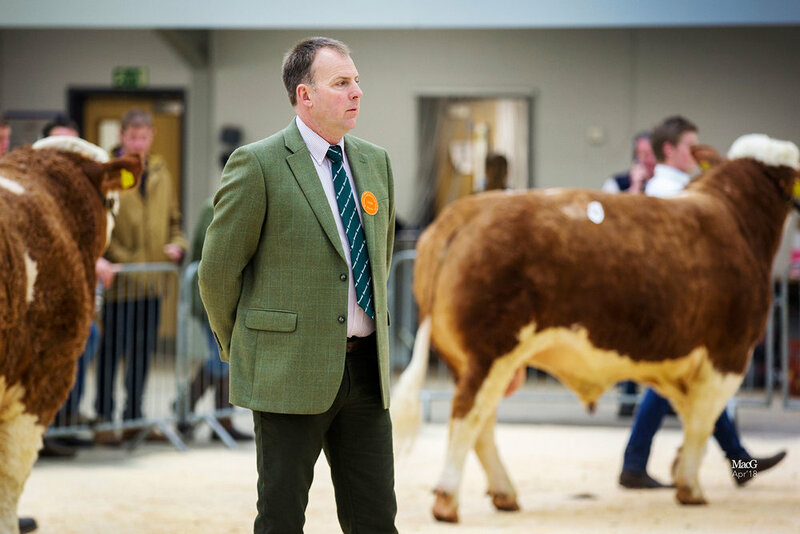 The Carlisle Spring sale which included the Leading Ladies was judged by Stewart Stronach Jr of Maisley, Keith, Banffshire. Also selling at the top price at 3800gns was Chestermann Horatio 16 from N & N Gwynne of Castlewigg Farm, Whithorn, Newton Stewart, Wigtownshire. Sired by the 2013 Royal Highland Show Junior Male Champion Overhill House Data 12 and out of a Blackford Ringleader daughter, he was purchased by Palmallet Farm Ltd, Whithorn, Newton Stewart, Wigtownshire. Next at 3400gns was the Reserve Overall Male Champion Chestermann Harold 16, also from N & N Gwynne of Castlewigg Farm, Whithorn, Newton Stewart, Wigtownshire. Again, sired by the 2013 Royal Highland Show Junior Male Champion Overhill House Data 12 and out of a Blackford Ringleader daughter, he was purchased by A Lindsay & Co, Culnaightrie Farm, Castle Douglas, Kircudbrightshire. 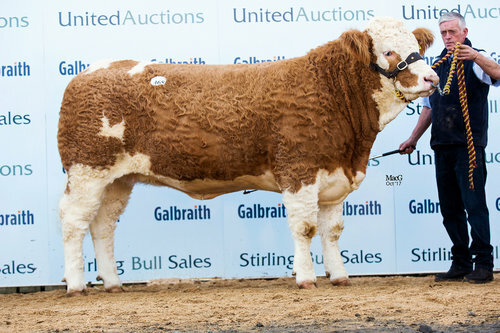 Selling for 3200gns was Keeldrum Hercules 16 from Mr D Lowry of Newsteadings Farm, Cartland, Lanark, Lanarkshire. Sired by Kilbride Farm Warren who fetched 9500gns at Perth in 2010 and out of a Raceview Valintino Miracle S daughter, he was purchased by R McKinnel & Sons, Garrarrie Farm, Whithorn, Newton Stewart, Wigtownshire. Also selling at 3200gns was Rooklea Heart of Gold 16 from Mrs A Trafford of Springfield Farm, Greysouthern, Cockermouth, Cumbria. This Losning Iver son out of a Hepplewhite Kong daughter was purchased by Messrs Trotter, Hoselaw Farm, Kelso, Roxburghshire. 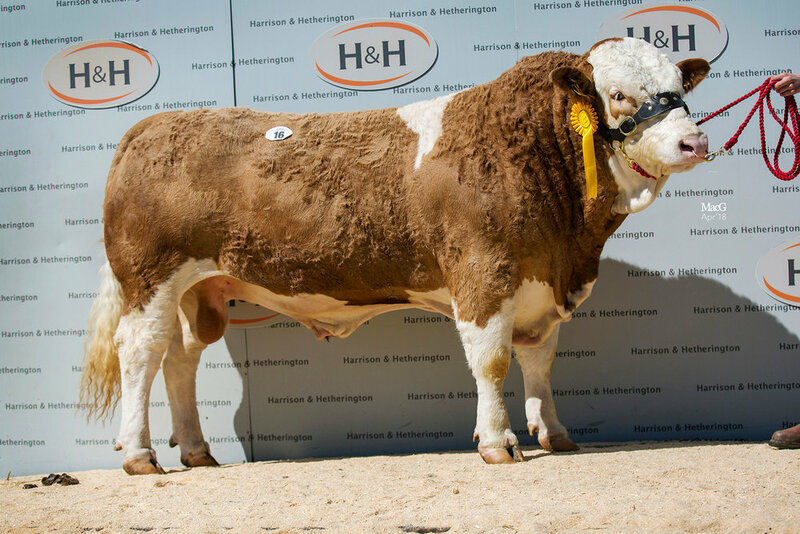 Selling at 3000gns was Burghbridge Hector 16 from Mr C J G Clarke of Villa Farm, Cretingham Road, Otley, Ipswich, Suffolk. This Horsfordmanor Bonus son out of a Brinkton Major daughter was purchased by Jones-Davies & Son, Glangwye, Boughrood, Brecon, Powys. Top price for the Leading Ladies at 6200gns was Newbiemains Izzie from Jim & Patricia Goldie of Newbiemains Farm, Annan, Dumfriesshire. A Woodhall Fantastic daughter out of a Lisglass Churchill daughter, she was purchased by Richard McCulloch of Overhill House Farm, Armadale, West Lothian. Second top price at 6000gns was Overhill House Indi from Richard McCulloch of Overhill House Farm, Armadale, West Lothian. A Curaheen Drifter daughter out of a Overhill House Volvo daughter, she was purchased by Jim & Patricia Goldie, Newbiemains Farm, Annan, Dumfriesshire. Next, selling for 5000gns was the Leading Ladies Champion Midhope Holy Light from Mr W J Hollingsworth of Midhope Hall Farm, Midhopestones, Sheffield. Daughter of Delfur Chas, who sold for 10,000gns at Stirling 2012 and out of a Corskie Wealth daughter, she was purchased by B & S Grant, Druid Temple Farm, Old Edinburgh Road South, Inverness.